Welcome to the Design & Technology Department at The Henry Box School. The Design & Technology (D&T) Department is located in Robinson Block, which consists of 6 specialist rooms: 2 Food Technology rooms, 2 Workshops, a Textiles room and a Systems and Control room. The department has access to laptops and makes use of CAD/CAM equipment. All students in Years 7, 8 and 9 have 3 hours of D&T per fortnight. In Years 7 and 8 all students study Food, Textiles and 2 x D&T courses for approximately 8 weeks each in a carousel system. To allow more in-depth study, Year 9 students study 3 disciplines; Food, Textile and D&T, each for approximately 13wks. Key Stage 4 Design and Technology continues to be a very popular option choice. We offer AQA GCSE courses in Food Preparation & Nutrition, Design & Technology and Art & Design Textiles. Students are prepared for their GCSE in Year 10, covering theory and practical work, small projects, class tests and mock exams. Term 6 of Year 10 is normally dedicated to investigation and research into their Non-Exam Assessment (NEA) in readiness for Year 11. At Key Stage 5 we offer AQA A-Level in Product Design 3D. 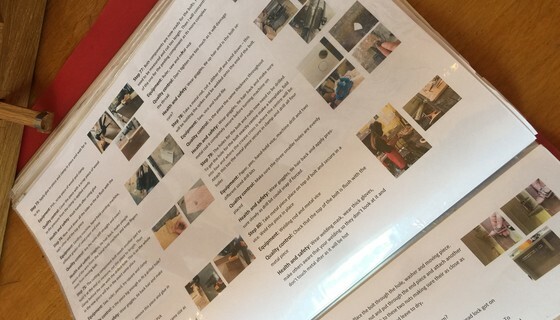 This course has proved very successful and A-Level students have successfully represented The Henry Box School at the National Furniture Awards. 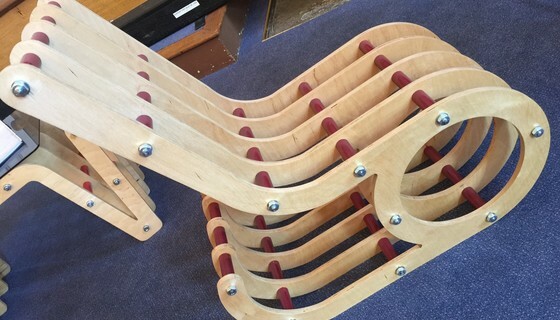 Many of our students have moved onto University, College and Apprenticeships, study D&T related qualifications such as Furniture Making, Fashion Design, Motorsport, Automotive Engineering, Architecture and Theatre Set-Building. At Key Stage 3 (Years 7 – 9), students follow a rotation system which allows them to experience many disciplines in D&T. They will cover Systems & Control, Resistant Materials, Food Technology, Graphic Products, Textiles and Product Design. Year 7 & Year 8 will take each discipline on a carousel basis, sampling each subject for 8 weeks. Year 9 will cover 3 D&T disciplines, for a longer period (typically 13 weeks). These choices are made at the end of Year 8 and should help students decide whether or not they anticipate taking D&T as a GCSE option. Typical projects made in D&T are pencil cases, CAD/CAM motorised cars, steel figures, tools, printed phone pouches, electronic circuits and phone hangers. Food Preparation & Nutrition focuses on promoting healthy diets and nutritional awareness, and students make dishes such as couscous, fruit salads, pasta dishes and quiche. KS4 covers Years 10 and 11. Year 10 lessons are dedicated to preparing students for the Exam and Non-Exam Assessment (NEA) sat in Yr11. They will cover theory and practical lessons that equip them with the knowledge and skills required to produce a self-led and independently managed NEA. They will have termly tests on the topics covered, will sit mock exams and will be expected to submit valuable homework on a regular basis. Students start preparing for their NEA towards the end of Year 10, investigating and researching the ideas they have generated for NEA. Typical NEAs include: dresses and children’s soft toys in Textiles. 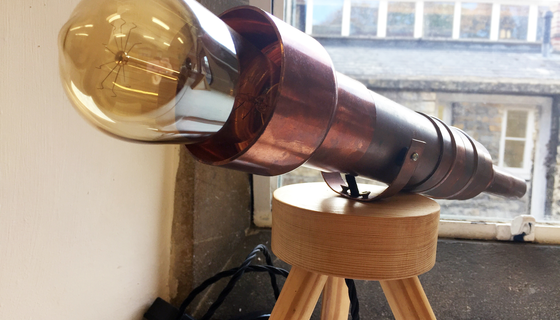 Lamps, furniture, robot arms and shop displays in D&T. Diet, health or ethical-conscious recipes in Food Preparation & Nutrition. The NEA is carried out largely in Year 11 and is usually submitted by about Easter. The remaining time is dedicated to polishing revision skills in readiness for the 2-hour GCSE exam in May/June of Year 11. An important element of A-Level D&T is the awareness of design principles; the consumer, the manufacture of products, the environmental impacts of design, current designers. Constantly changing trends, technological advancement and market needs mean that A-level students need to be fully aware of many aspects of D&T. A-level students build on their current skill level by taking part in a number of small projects to enable them to develop new, more advanced practical skills using more advanced tools, processes, to prepare themselves for a major project. These projects include portfolio of work in which they must include all of their research, design and evaluation work. At A Level, students are guided by their teachers, with supervision and support. As they progress though the course, this close support is gradually withdrawn and they are expected to work much more individually, as befitting an A-Level. Trips away from school are invaluable to the learning of our students. 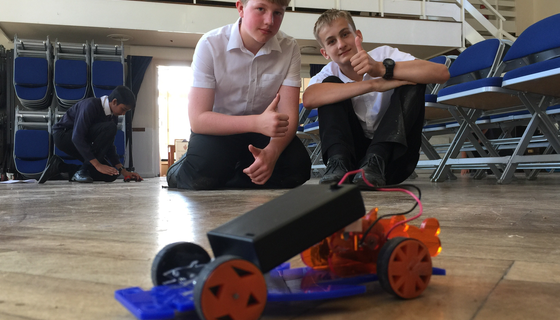 Students get a wider awareness of D&T when visiting places other than school, and appreciation of how the lessons they study at school relate to the real world of Design & Technology, industry and business. Over the past 3 years, the D&T department have taken students of all Key Stages to Williams F1 team, Caterham F1 team, Renault F1 team, National Furniture College (Rycotewood), Rockingham Raceway, Castle Coombe Race Circuit, Cadbury World, The Good Food Show (NEC), Knit & Stitch (NEC), The Clothes Show (NEC) and more. The D&T Department is always open to students at break time, lunchtime and after school. Many students come to the department in their own time to finish off projects, get ahead in projects or to try out new ideas and projects of their own.